— "This is a fascinating piece. It’s full of hilarious observations and beautifully written dialogue. 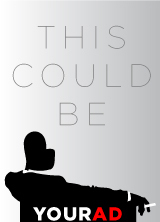 It’s like David Sedaris and Aaron Sorkin got trapped in an elevator on the edge of a cliff…debating the inevitable question, with the knowledge that regardless of what they actually believe what happens next is totally out of their control anyway. There’s a reason “Movin’ On Up” was named one of The New York International Fringe Festival’s 10 Shows That Stand Out (Producer’s Perspective) and played to sold-out audiences. 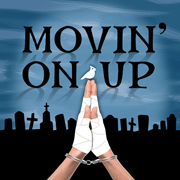 It’s funny-or-die-in-the-graveyard time when Jeremy Kehoe’s absurdist, existential comedy, “Movin’ On Up”, makes its West Coast premiere at the 2018 Hollywood Fringe Festival at The Complex theater in Hollywood. “Movin’ On Up” made its world premiere at the New York International Fringe Festival, where it performed before sold-out audiences, was named one of the 10 Shows That Stand Out (Producer’s Perspective), and was hailed by critics as “a short, fun romp of a good time”, who called Kehoe’s dialogue, “reminiscent of a David Sedaris essay. His dialogue is witty, absurd, and unexpectedly endearing” (Theater Pizazz). “Movin’ On Up” is directed by McKerrin Kelly, and features performances by Tessie Barresi, Gary Rubenstein and Jeffrey Wylie.